If you happen to be walking on the bank of the Thames, opposite the Tower of London, be sure to look a little closer at the MoreLondon building. In the courtyard garden you will find Evergreen by David Batchelor. It is a metal and plastic tree planted amongst the real wooden ones (you know, the ones that actually grow and didn’t cost £75,000). The surrounding architecture is sharply modern but looks out over some of the most historic sites in London. Much like Evergreen, which is the epitome of a modern tree which reflects the normal trees in its metal services. The name is pretty spot on as well. In Spring/Summer you could walk past this art work and not blink an eye. 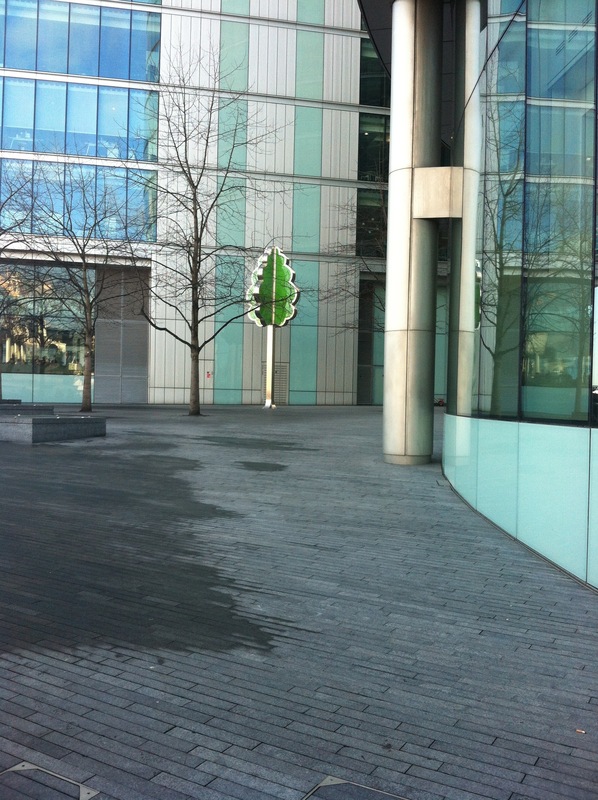 But in winter when every other tree is in skeletal form, Evergreen really stands out.